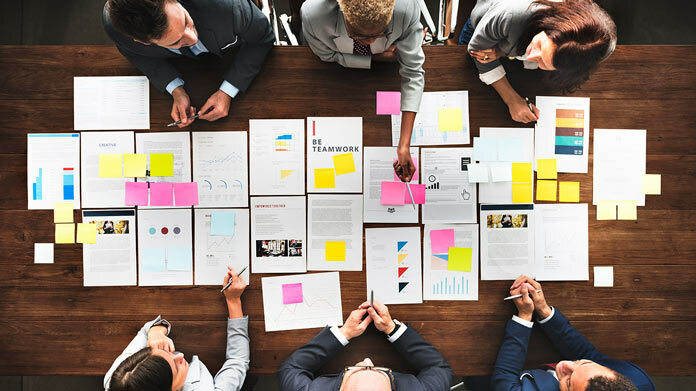 Our guide on starting a project management consulting business covers all the essential information to help you decide if this business is a good match for you. Learn about the day-to-day activities of a project management consulting business owner, the typical target market, growth potential, startup costs, legal considerations, and more! What happens during a typical day at a project management consulting business? A typical day at a project management consulting firm consists of meeting with clients, reviewing a project's scope, analyzing key performance indicators, and assessing the viability of various projects a business wants to undertake. Consultants must perform detailed analysis of a project and submit reports to management and sometimes the board of directors to get approval for funding and even the project itself. A project management consulting business may juggle many different projects at once, relying on an organized system of assistants and templates to complete various project milestones. Consulting companies must also manage client expectations, behaviors, and attitudes toward the project and set realistic expectations about completion times and budgets. Target market for this service are reasonably successful businesses that need help planning and completing complex business projects. How does a project management consulting business make money? Project management consulting businesses make money by charging clients a fee for service (per project) or a per-hour fee for consulting. Service contracts are common in some industries, but many businesses hire consultants on a per project or even a per-month basis. What is the growth potential for a project management consulting business? This type of consulting business can grow into a large enterprise, but most businesses are run as small agencies. This is because project management consulting is a highly specialized industry where only one or a few individuals have the expertise to advice a business through all stages of a project. Therefore, it's difficult to scale this business. What are some skills and experiences that will help you build a successful project management consulting business? Business consultants are highly specialized in their education. They often have extensive experience in business management, project management, and financial management. Project managers must have excellent time management and communication skills. Finally, the consultant must understand all aspects of the project management process that most corporations use. What are the costs involved in opening a project management consulting business? A project management consulting business is a low overhead business. You only need access to a computer, a phone, and a small office to run this business. You can start for less than $1,000. What are the steps to start a project management consulting business? Form a legal entity. Establishing a legal business entity prevents you from being personally liable if your project management consulting business is sued. Open a business bank account. A dedicated checking account for your project management consulting business keeps your finances organized and makes your business appear more professional to your customers. What are some insider tips for jump starting a project management consulting business? Work with local businesses that you already have relationships with. Consider approaching local businesses and offering them complimentary services in exchange for testimonials or referrals for successfully completed projects. You may have to offer discounted rates until your name recognition is enough to command higher fees. Promote your business locally through networking, local pay-per-click advertising, website advertising, email marketing, and direct mail. Once you get your first few clients, you can work off referrals. Attract more clients through referral business. This will become your main source of leads and clients. In addition to this, you can retain existing clients by providing exceptional customer service and by making projects profitable for your clients. Building a team isn't necessary, but some agencies decide to hire assistants to handle various aspects of the consulting process. Sometimes, an assistant can reduce some of the workload of a consultant by performing routine tasks, working from a template. This can save clients money and simultaneously increase total revenue for the consulting business by streamlining various processes. For example, the project management process is mostly the same for all businesses. Initial interviews reveal basic information, like costs, project goals, scope, and budgets. This information can be gathered and analyzed by an assistant before a consultant comes in to take over the project. Maintaining a "pipeline" of leads this way, where assistants are completing the initial phases of the consulting work, helps optimize workflow for the consulting business. Certain state permits and licenses may be needed to operate a project management consulting business. Learn more about licensing requirements in your state by visiting SBA’s reference to state licenses and permits. Before leasing, confirm that your landlord has or can obtain a valid CO that is applicable to a project management consulting business. Review all building codes and zoning requirements for your business’ location to ensure your project management consulting business will be in compliance and able to obtain a CO.
Project management consulting businesses should require clients to sign a services agreement before starting a new project. This agreement should clarify client expectations and minimize risk of legal disputes by setting out payment terms and conditions, service level expectations, and intellectual property ownership. Project management consultants can charge anywhere between $100 and $500 per hour for consulting. Consultants can also charge on a "per-project" basis, with fees ranging from $1,000 to several hundred thousand dollars. What are the ongoing expenses for a project management consulting business? Ongoing expenses are minimal and include costs for office space, computer maintenance and software maintenance and upgrades for project management applications. These costs may range from several hundred dollars per month to several thousand dollars, depending on how large the agency is. How much profit can a project management consulting business make? Project management consultants can make anywhere from $50,000 per year per consultant to $1 million or more in fees for large projects with large corporate clients. If you want to make the business even more profitable, consider partnering with other non-competing consultants. For example, a project management consultant may need the help of a marketing consultant, a customer service consultant, or some other outside agency which can implement some or all the solutions your agency proposes for your client. By becoming a "one stop shop," you can simplify the process for your clients, making it more convenient to do business with you. This, in turn, can command higher consulting fees.